This is the next entry in a Theatre… a Movie… and a Time, a series that was begun here. As I’ve stated before, “… what really kicks off an entry… most of the time is other bloggers.” In this case, Monica’s guest post over at Tyson Carter’s site, Head in a Vice, had the honors. Her look (published in the U.S. on Veteran’s Day) at one stellar epic by a master of cinema kicked off this memory download. Autumn 1985: given the right film, I used to head to whatever movie hall that played it. Whether I knew much about the location or venue. Near or far. In the past, the grander, more esteemed and unique the theater, the better. Nowadays, with the closing of so many movie palaces of my youth, I’ve fallen back on convenience. Anything local, with stadium seating, and cheap or validated parking offered usually gathers my money these days. Make it a matinée while you’re at it. Seen the price of movie tickets lately?!? 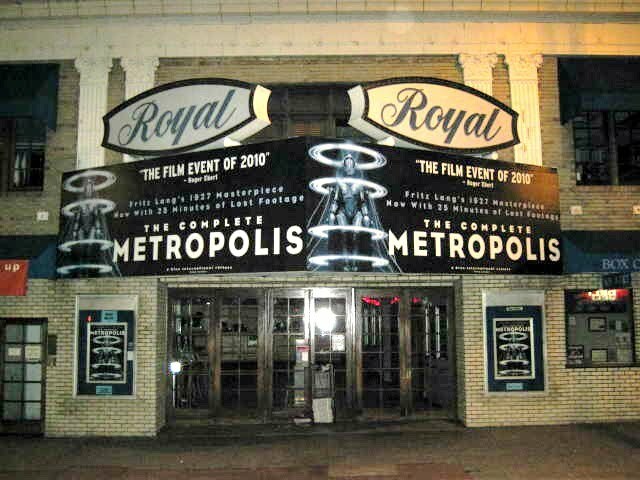 Considering my long-standing appreciation of Japanese cinema, I regularly went to the few theaters that specialized in them. Back in the 80s, it was the only recourse. There were no disc or streaming options available — and VHS tape offerings were measly. Yeah, yeah. The dark ages. Still, the film maestros of Japan’s feudal era, a genre known as Jidaigeki, like Kihachi Okamoto, Masaki Kobayashi, and especially Akira Kurosawa, held my interest so much I’d go to the only places that screened them. Thank you very kindly, Novroz. Thank you, Tyson. Monica’s post was indeed excellent. It’s no secret, I always love these posts. I envy the fact that you’ve grown up around such an abundant variety of theaters (some gorgeous ones by the way). Thanks for sharing! I very much appreciate that, T. I’m truly lucky to be in this position. Thank you very much. Great post, Michael. Big fan of TMT here. Totally identified with your first paragraph. If it’s the right movie, I’ll go to any theater, near or far, to see it. I appreciate your support and enthusiasm for this series, Fernando. Many thanks. The film is not hugely appealing to me but I always enjoy reading your TMT series, my friend! Yes, this won’t be to everyone’s liking. But, Kurosawa could come up with some truly stunning visuals and storylines. Thank you so much, Ruth. I’m jealous. I would love to see “Ran” on the big screen. Kurosawa practically demands it! I quite agree, Brent :-). Thanks so much. I haven’t had the chance to see this yet, but it looks like an awesome one to see on the big screen. Cool TMT, Michael! This one, along with ‘Seven Samurai’ and ‘Rashomon’, are in my opinion the must-sees for anyone evaluating Akira Kurosawa’s work. Thanks so much, Eric. I remember seeing Ran at the cinema, but don’t remember which one. Normally I do. It’s a great movie which left a lasting impression. While at Uni I had to read King Lear. Kurosawa captures the feeling of the aging king and the relationship to his daughters perfectly. Your TMT series is a great idea. I’ve only ever written one post like this which was for an outdoor showing of a Godard movie..in the rain. Speaking of which, there was another where they showed Seven Samurai on the river bank in summer for free. That was a great atmosphere. p.s. 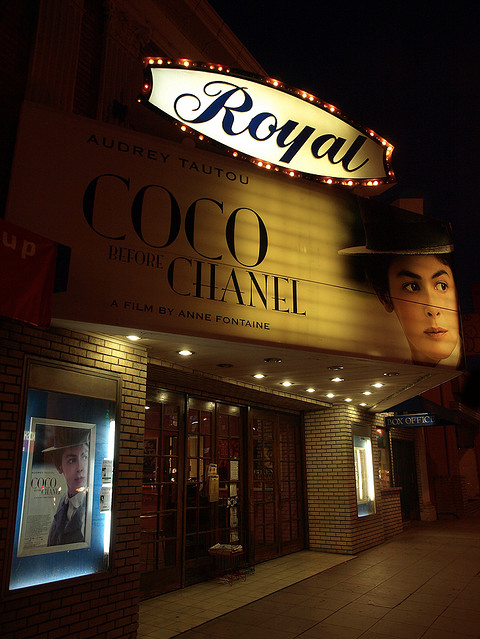 the one photo reminds me I wanted to review “Coco Before Chanel”. Wonderful thoughts and memories, Marcus. Could you post your link to that outdoor Godard movie showing? I’d love to read it. And that sounds like a marvelous venue for ‘Seven Samurai’. Thanks, my friend.